Dimensions: 5ft. 4in. x 8ft. 3in. 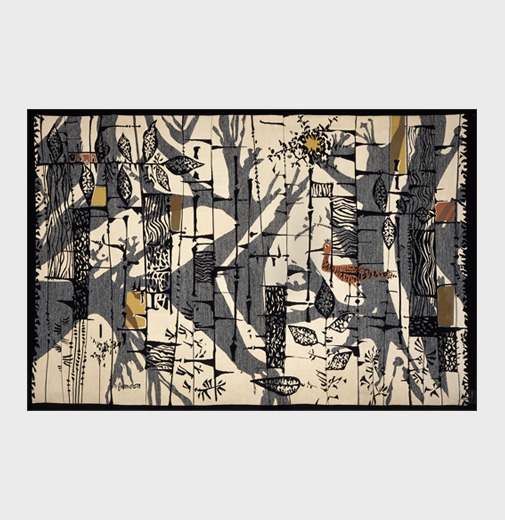 Though René Fumeron’s style was built on the principles of tapestry weaving reformed by Jean Lurçat, he was distinguished among colleagues as the “Imagier” (image maker) of tapestry. 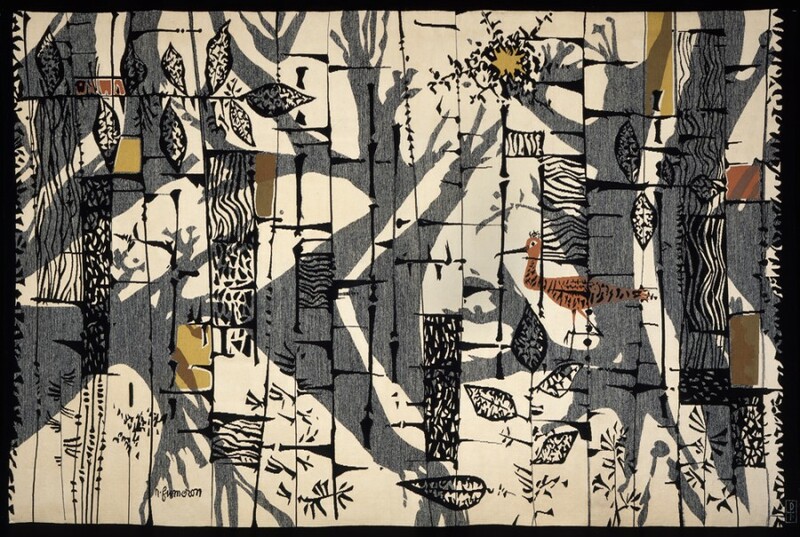 His choice of subject matter—trees, branches, birds, fish— complimented a strong sense of composition and admirable imagination. Furthermore, by using steep vertical lines, bold geometric forms and a mostly somber palette, he was able to create transparency and harmony in his tapestry designs.